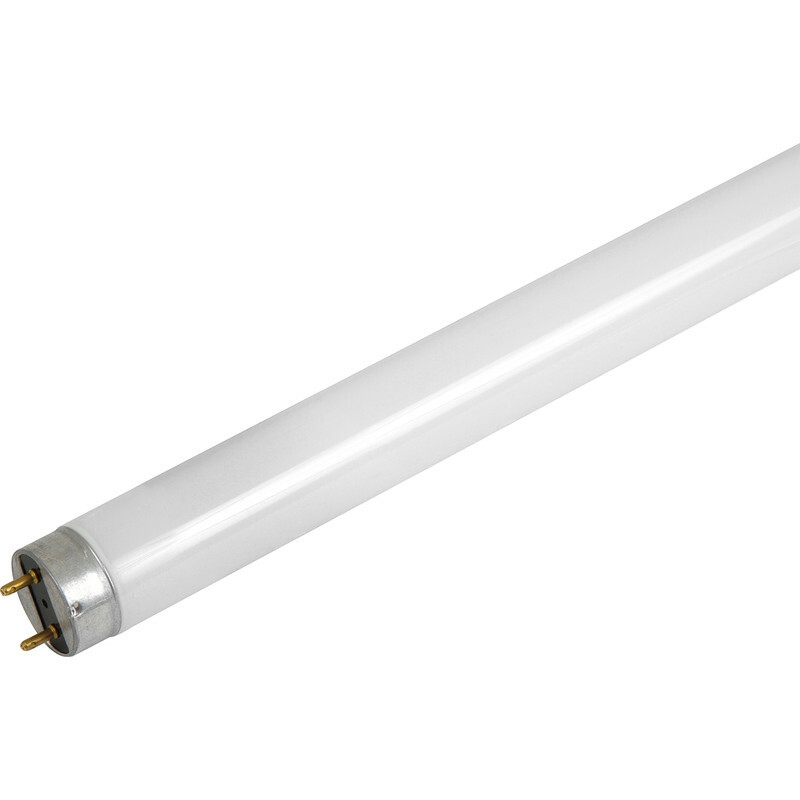 Triphosphor T8 Fluorescent Tube 1200mm 36W Warm White (10 Pack) is rated 4.6 out of 5 by 18. Rated 5 out of 5 by Geoffers59 from Nice and Bright I bought these for my garage to replace three that had ceased working, and the difference is incredible. I am replacing all the other tubes with these now. Rated 5 out of 5 by Old Salty from Brilliant Light! Needed these 10 x "florries" to replace eight in my kitchen that had either failed or were flickering. Extra two will come in handy as spares. Good supplier of these tubes that are normally difficult to source locally at a decent price. Rated 5 out of 5 by chuncles from I needed a quick fix WoW, so much more light output, should of done it ages ago but I didn't expect them to be in stock! Rated 5 out of 5 by John1234556678 from Great item at a good price Great item fast delivery and good value for money. Rated 5 out of 5 by Fluorescent tube man from Excellent value and service Delivered next day, 40 percent cheaper than other suppliers.